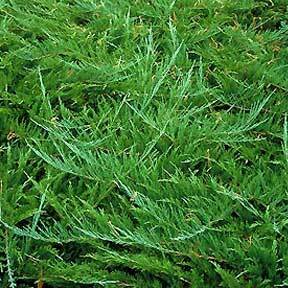 Wide-spreading ground cover with soft, feathery bright green foliage. Excellent in rock gardens or cascading over walls or planters. Easy to grow, accepts coastal conditions. Evergreen. Full sun. Moderate grower to less than 1 foot tall, spreading to 8 feet. Cutting grown.